NEW: Aix Riviera Pass makes your stay easier! Do you want to be a savvy traveller and take advantage of numerous perks? 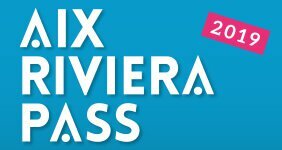 With the Aix Riviera Pass, no need to get out your purse - your activities are free when you buy a pass! Enjoy free activities and discounts, as you explore the whole of Aix-les-Bains - Riviera of the Alps. Free activities at numerous tourist destinations throughout the region: visits, museums, casinos, cruises, pools, beaches and tourist trains. Discounts on shows, guided tours and cinema tickets.